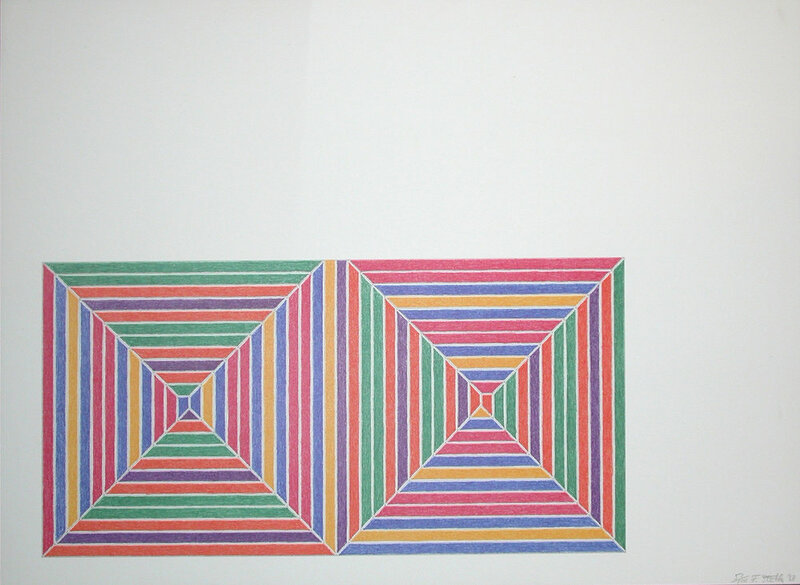 Frank Stella is an American painter and printmaker most recognized for his minimalist, abstract works. Born in Massachusetts in 1936, Stella went on to study history at Princeton University, later moving to New York City and becoming increasingly influenced by the work of Jackson Pollock and Franz Kline, and later to the flatter surfaces of Barnett Newman. His notorious striped canvases were first explored in the Black Paintings of the late 1950s, which were included in the show 16 Americans at MOMA in 1959. From there, Stella continued his explorations into geometric abstraction, and began to introduce colour into his work. Stella's printmaking developed alongside his painting, and often explored similar themes. In the 1980s/1990s, Stella moved towards increasingly sculptural painting/constructions, and the 1990s saw his involvement in a number of public art and architecture projects. His work has been exhibited worldwide, and is included in the collections of major art institutions including the Guggenheim Museum and MOMA, New York; the Kunstmuseum Basel; MOCA, Los Angeles; National Gallery of Art, Washington DC; San Francisco Museum of Modern Art; the Stedelijk Museum, Amsterdam; and Tate Modern, London.